For the past decade we have seen the detrimental effects that a commodity-driven, profits-above-all seeking economy that has served well the 1% of our population that runs the economic show, but has left the rest of us (along with the planet) in its wake of pollution and corruption. Increasingly disturbing is the fact that we have been enculturated to believe that this corporate model of “big business” is the only one that will benefit the greater good and will actually provide opportunity for all. The fact is this type of economic model serves just the select few shareholders of these companies, extracting dollars and opportunity from our local economies. Amidst the dismal picture this paints, what are our hopes for change? How great would it be to know that there are economic alternatives that actually have a long and rich history of development in the U.S. creating paths for inclusion in the new economy where there are opportunities for all to participate in and control our economic destinies? One of the most dynamic and exciting types of business that offer a viable alternative are Cooperatives. A fundamental value of many cooperatives is to keep governance, profits and jobs within local communities and make major contributions to the emerging and important New Economy. Cooperatives are enterprises that are owned by their members, managed democratically and aim to fulfill the needs and aspirations of those members. There are several forms of cooperatives: consumer co-ops, such as food co-ops and credit unions; worker co-ops that usually are formed as a result of insecurities in the labor and current capitalistic environment and producer co-ops like Cabot Creamery. There are several allied organizations that exist to support and expand the cooperative movement nationally, regionally and locally. One of these organizations, the Cooperative Fund of New England (CFNE), has existed for 40 years. CFNE is a certified Community Development Financial Institution (CDFI), established in 1975 to advance community based, cooperative and democratically owned or managed enterprises, with preference given to those that serve low income communities. It provides prompt financial assistance at reasonable rates, offers investment opportunities that promote social enterprise, and develops a regional reservoir of business skills with which to assist and advise its applicants and borrowers. From its first loan of $2,000 to Buffalo Mountain Food Co-op in Hardwick, Vermont in 1975 and now in its fortieth year of operations, CFNE has raised funds from social investors to make over $37 million in 720 loans to new or expanding co-ops and community organizations. Borrowers have used these loans to create or retain 9,900 jobs, 5,400 affordable housing units, and thousands of membership and business ownership opportunities. CFNE has historically been very involved in every facet of the cooperative economy in New England. 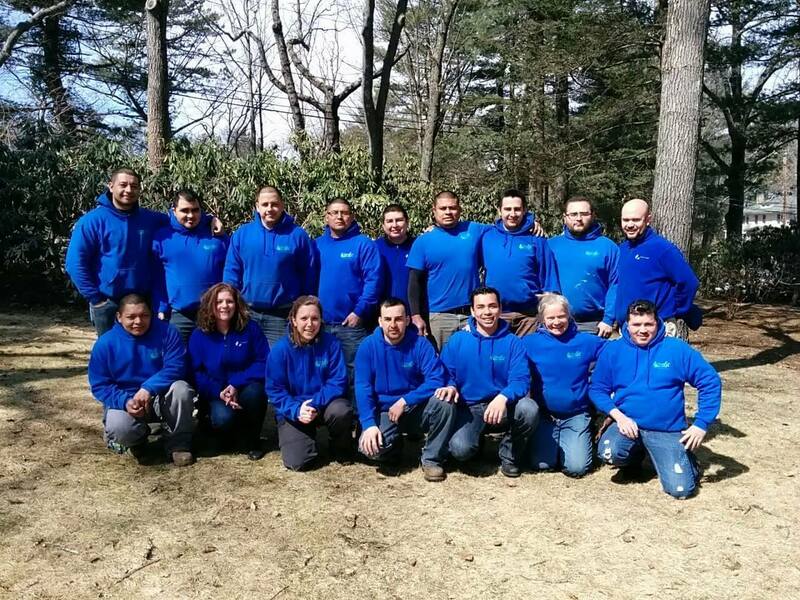 For example, A Yard and A Half, located in Waltham, Massachusetts is a minority and immigrant worker-cooperative landscaping company that converted to a co-op upon the retirement of the founder. A $450,000 loan from CFNE enabled the employees of this long-standing business to become worker- owners, preserving 20 quality jobs and maintaining high standards of social and environmental justice. CFNE also participated in financing the formation of the Island Employee Cooperative, Inc. (IEC), the largest worker cooperative in Maine and one of the larger worker co-ops in the United States, where the employees were able to purchase the businesses from retiring owners. Combined, the three businesses are one of the island’s largest employers and provide the community with a full array of groceries, hardware, prescription drugs, pharmacy items, craft supplies, and other goods and services. Gloria LaBrecque works with the Cooperative Fund of New England visiting cooperatives who may be current and potential borrowers, providing technical assistance, administration of the loan portfolio, and marketing the Fund in the northeastern part of New England.